With stellar lighting, primo photography, and a label linking them to everyone from Damien Hirst to Tracey Emin to Keith Haring, these bits of Philips- and Pozidriv-head hardware become grand by association. But, wait, you think: "He could have done this with any old junk lying around! There's nothing that proves these are even legit." Which is true! But now we're all thinking about the unsung, behind-the-scenes tools used to present art as Art—all the little things that make its display possible in the first place—which is cool. There are a million examples out there of the ephemera necessary to create classics: Consider the architectural wizardry of scaffolding, a veritable creative industry in D.C. thanks to the consistent facade-lifts required by our nation's many monuments; or the microphone Bob Dylan used to address the electric-haters live in 1966; or the brushes Da Vinci used to paint the Mona Lisa. These, too, in another context, take on cultural value as enablers, we might say, for the larger projects they were a part of. Edge a little further out and you've got a wealth of weird religious relics—many preserved human remains—that firmly nudge at the boundaries between ordinary and extraordinary. These, too, are diminutive cultural artifacts imbued with far more meaning and value than their size would imply. 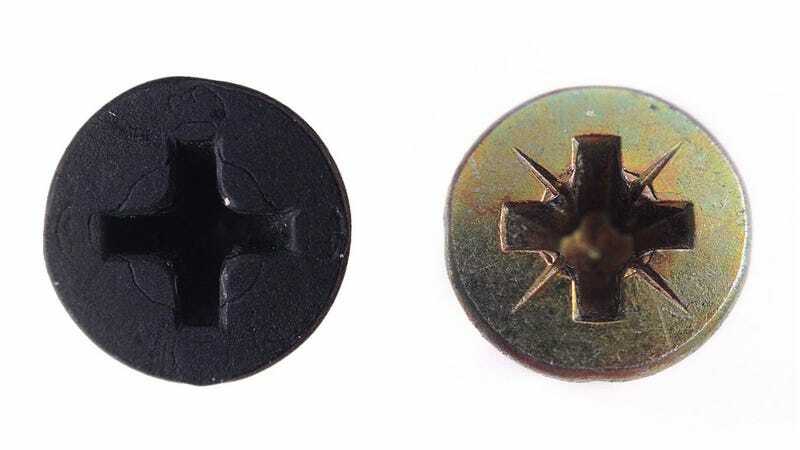 Pena Costa's project—a joke, really—suggests that these screws are nonetheless like the relics of the art world: minuscule, seemingly worthless bits of matter that, because of sheer circumstance, are as unique or extraordinary as the events, people, or objects they were once connected to. In any event, it's never a bad thing to pay more attention to the environment around us, in all its incarnations. Beauty is in the eye of the beholder, and there's definitely enough to go around.